What does K & M Manufacturing do with my personal information? A Personal Internet Account- You will be identified by Tractorseats.com every time you log in with your personal customer number so in the future you will save time by not having to submit your information again. Traceable Product Delivery- You will be able to track the location of your shipment through our online tracking system. Order Status Updates- You will receive order status updates through email notification, including order-confirmation and order-shipped. Updates on Internet Specials- You may receive updates on Internet specials you have requested. Personalized, Knowledgeable Customer Care- Our customer care team will be able to assist you promptly and accurately by identifying you and your preferences. To learn more about Google, their privacy policies or how to opt-out of their services, please go to: https://www.google.com/settings/ads/onweb/. This site uses the CrazyEgg analytics system to help improve usability and the customer experience. CrazyEgg may record mouse clicks, mouse movements and scrolling activity. CrazyEgg may record keystrokes that you voluntarily enter on this website. CrazyEgg does not track this activity on any site that does not use the CrazyEgg system. You can choose to disable the CrazyEgg Service at https://www.crazyegg.com/opt-out. 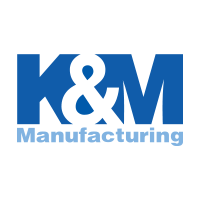 If you purchase with K & M Manufacturing, we may share your information with third party companies. Your name, address and details about products you have purchased from us could be shared so that you can receive offers for other products that may interest you. If you would not like us to share your information for this intent, please email us at sales@tractorseats.com or call 1-800-328-1752.